This month I decided to try doTERRA’s hair shampoo and conditioner. I was excited when it finally arrived and couldn’t wait to wash my hair. I was a bit skeptical since I had used another brand for years and was nervous to depart from it. But I love doTERRA essential oils so I figured, why not try their hair care system too! My hair is very dry, colored and quite frizzy. I was looking for a nice shampoo and conditioner that would help smooth my hair, be gentle and make it easy to comb after washing. Does doTERRA Shampoo and Conditioner Work Well? Let’s start with the shampoo review. I only used a very small amount and it was more than enough to shampoo my below shoulder length hair. It smelled divine! That was likely the Wild Orange and Lime oil in the shampoo! The doTERRA shampoo had a nice lather, but not too much. My hair felt very clean after rinsing too. Moving on to the Salon Essentials Protecting Conditioner review. I used a fair amount of the conditioner to make sure all my hair got in on the conditioning aspect of this hair care system. I massaged it and enjoyed the peppermint smell and how nice it felt on my scalp. I left it in for a few moments. There are a few essential oils in the conditioner: Lavender, Peppermint, Marjoram, Cedarwood, Lavandin, Rosemary, Niaouli, and Eucalyptus. After rinsing, I could tell that my hair already felt very nice and soft. After towel drying my hair, it was so easy to run a comb through it. No tangles! That was pretty amazing. Usually there are lots of tangles in my hair that need special care to comb through. I dried my hair with a blow dryer and loved how soft it felt. Due to my hair being so dry, it doesn’t often feel soft but the doTERRA shampoo and conditioner definitely made a huge difference. I love the doTERRA shampoo and conditioner. It was definitely worth the price for me. I wish I had tried it sooner. I am ditching my other brand and sticking with doTERRA. I love the smell, my smoother, softer hair and no tangles after washing. 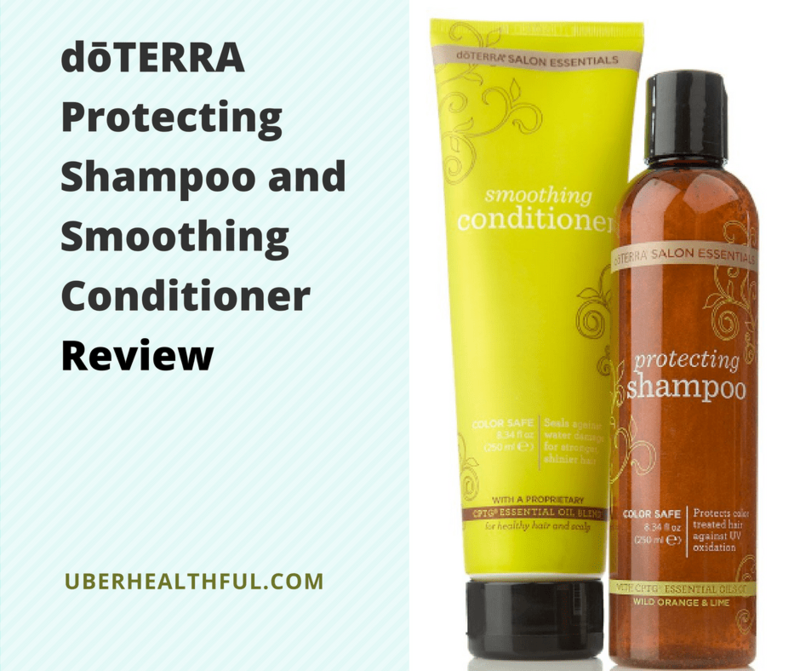 Get doTERRA’s hair care products – shampoo and conditioner duo! Hi there! Thank you for this review. I am wondering, do you still use this? I got a sample and am in love, but I’m wondering if it’s something you can use long term or if my hair is just happy to have something different. Thanks for any help!